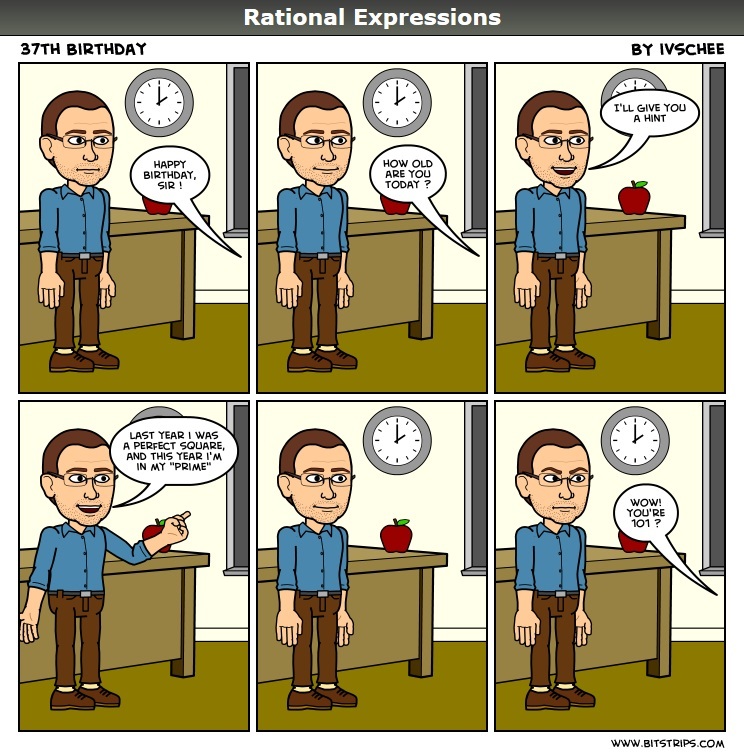 Posted on January 9, 2017, in Rational Expressions - A Comic Strip. Bookmark the permalink. 1 Comment. Could be worse, could be 197 (14*14 + 1)!